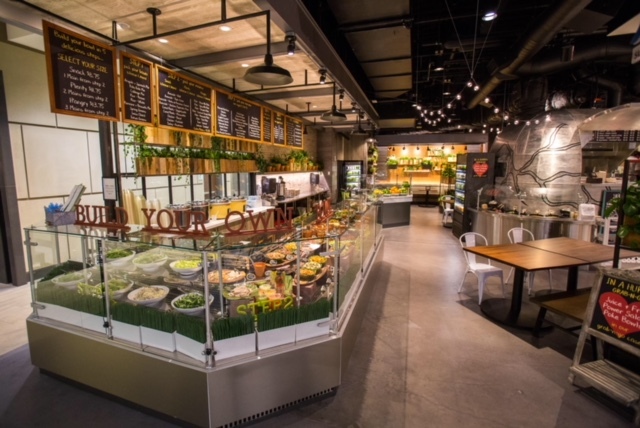 Avo-Poke, one of the seven concepts at Lincoln South Food Hall, offers sustainable salads, poke bowls, and fresh juice. With a specialized chef from Hawaii, the approach of this restaurant is traditional and inventive, marinating ingredients for a longer period of time, allowing the flavors to combine and deepen. The menu offers a wide variety of items for diners to choose from. There are 5 steps when creating your Poke bowl. Step 1 is when guests can choose their base. There are 9 different options like Arugula and Spinach Mix, Rice – Brown and Swiss Chard. Step 2 includes picking your main with 17 different options to choose from. There are 3 different sizes offered (snack: 1 item, plenty: 2 items, H’angry: 3 items), ranging from $9 – $14. Step 3 includes picking your mix-ins. There are 26 different options to choose from like Cured – Prosciutto, Tuna – Seared or Chicken – Roast. Step 4 is when you get to choose your dressing. There are 8 dressings offered, from Blue Cheese Dressing, to Sherry-Avo Vinaigrette and Soy Sesame Dressing. Step 5 includes choosing toppings for your Poke bowl. There are 12 options, including; Bacon, Masago, and White Sesame. 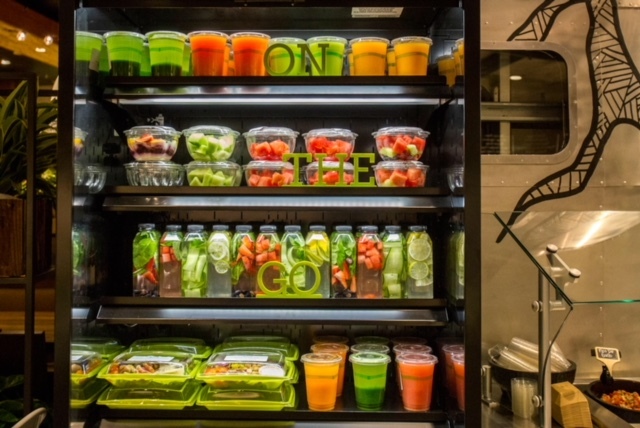 In addition to being a customizable poke and salad restaurant, they also have a juicery. There are 5 blended juices and cleansers to choose from, as well as herbal and fruit infused waters. Breakfast, lunch and dinner are offered daily. Please visit their website for more information on their menu, as well as restaurant hours.